How many paper are there in SSC JE 2018 exam? There are two papers in SSC JE 2018 exam. Know more about SSC JE 2018 syllabus. 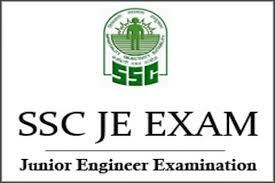 What are the topics come in SSC JE 2018 exam? SSC JE 2018 syllabus includes Verbal & Nonverbal topic in general intelligence & reasoning, General awareness includes topics from varied discipline while engineering papers carry topics of diploma level.